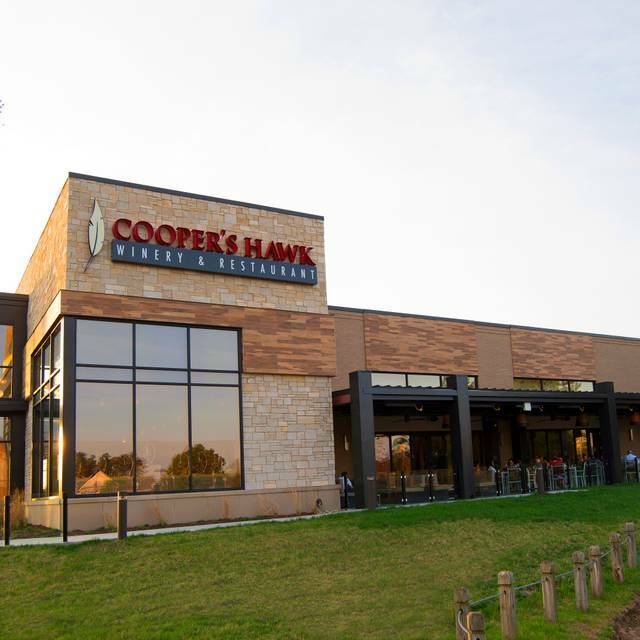 You must make reservations at least 5 minutes in advance of the time at Cooper's Hawk Winery & Restaurant - Richmond. I love the service we received from the server. However, I realized that the waitress never asked if I was a member just as I'm filling out this form. This should be asked every time to everyone. Nice ambiance, clean, and upscale. The food was very good and the staff was accommodating. Really enjoyed this place! Ambiance was wonderful, wine was good, and dinner was excellent. Even though it's an hour drive for us to get there, we'll definitely be returning. Great food! Great wine! Great dessert! Little too loud to hear the conversation with people at your own table. Food and service were good, but noise level was very high. Consistently friendly staff and great experience (except for noise but accommodated a booth request which helped). service was excellent with our waitress Chelsea.....food was tasty and presented well.....too much background noise where were seated.....will go back again to see if noise is the same distraction. We went to celebrate a Birthday. Our server CC was awesome. We have started asking for her when we go. We were so excited to go for my husband’s birthday with family. The service wasn’t great, my entree was poorly cooked and a spider crawled out of the fruit bowl that my five year old had with her chicken fingers. The appetizers were delicious. 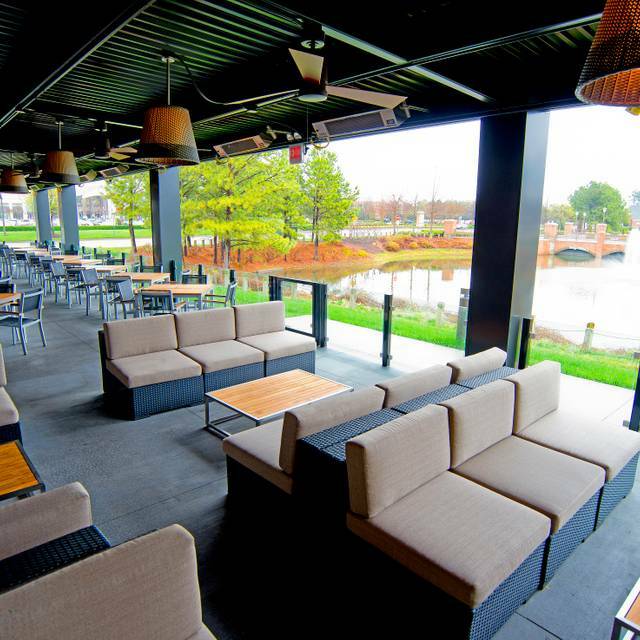 This is a great spot for an everyday dinner or get together. The venue is nice, not too noisy, and the food is pretty tasty. The wine tasting room was packed when we arrived so we were unable to taste the wine. We did get a glare drinks at the table during dinner though. One of my favorite restaurants in Richmond. Always great food, wine and service. We went for our monthly wine tasting and tried some lux wines and a tiramisu truffle. It was fun as always. Later a delicious dinner of Spaghetti and Meatballs and Gnocchi Bolognese. It went great with the Paddymoer wine of the month. Service as always was terrific. You just can't not have fun at Cooper's Hawk. My favorite place. 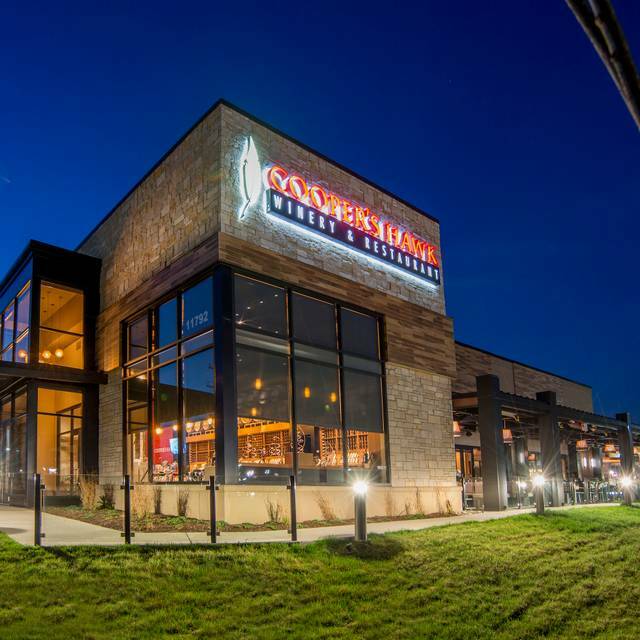 I eat at least a couple times a month at Coopers Hawk. 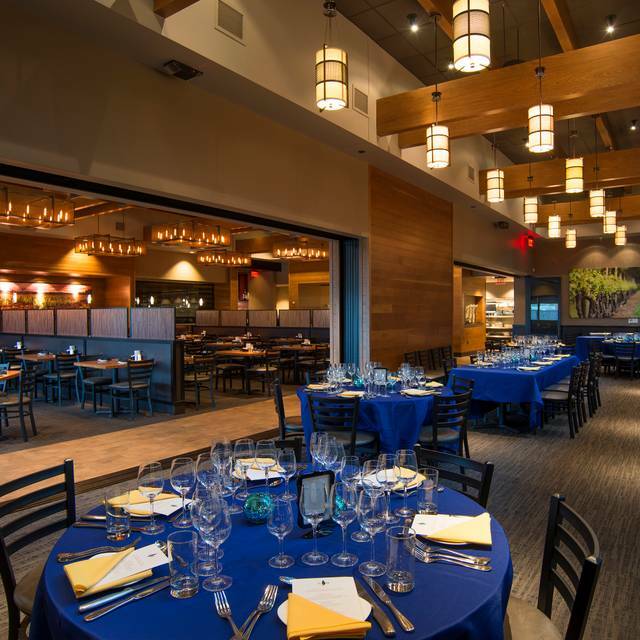 The food is always excellent and the service for the most part is very good to outstanding. The wait-staff are always professional and can speak about the items on the menu if you ask them. They have "healthy" dishes for those watching calories. 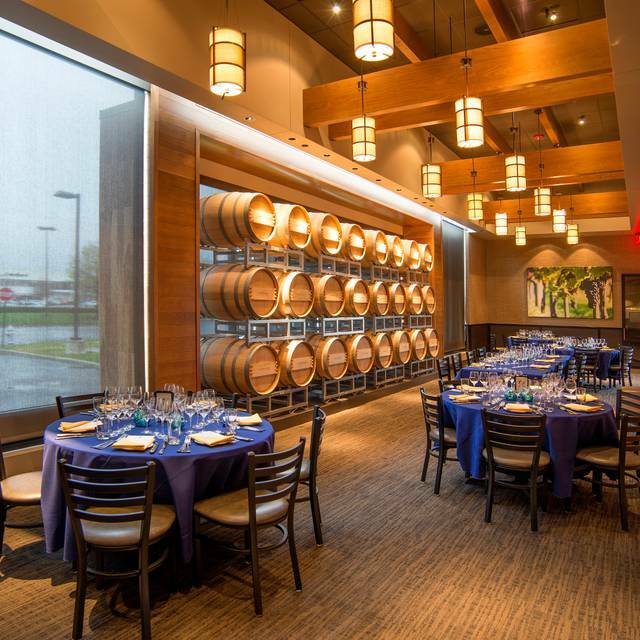 Their wines are very good and the meals on the menu are paired with the wines they feel are best with the meal. It is my go to restaurant when family and friends come to town. Life Balance Blackened Ahi Tuna was very good but quite spicy and way too much rice. My husband ordered the Bleu Cheese Burger and said it was very tasty and cooked perfectly. Our server was spread to thin. It was my birthday she put in the wrong order for me which caused everyone to wait and then mine to come out last. Normally, I love this place. I even joined their wine club. I invited six girlfriends to join me for a fun night out starting with the wine tasting. Immediately, I put a $20 tip at my napkin for a $7 wine tasting to encourage the server to help us have a good time. It was my girlfriends first time in the facility. Since she was trying to be adventurous, she tried the sparkling wine offered as her first wine even though she had never tasted a sparkling wine before. At the first sip, she concluded that she did not like sparkling wines. She asked to be given something else in its place according to the restaurant's rules for the process. Unfortunately, the server was very hard to deal with. She refused to follow the restaurant's process. She indicated that my friend could not try something else. I explained my understanding of how the process was supposed to work based on my previous visits. The server continued to refuse. I asked to speak with a manager to have the process explained to me again to make sure that I was not mistaken. 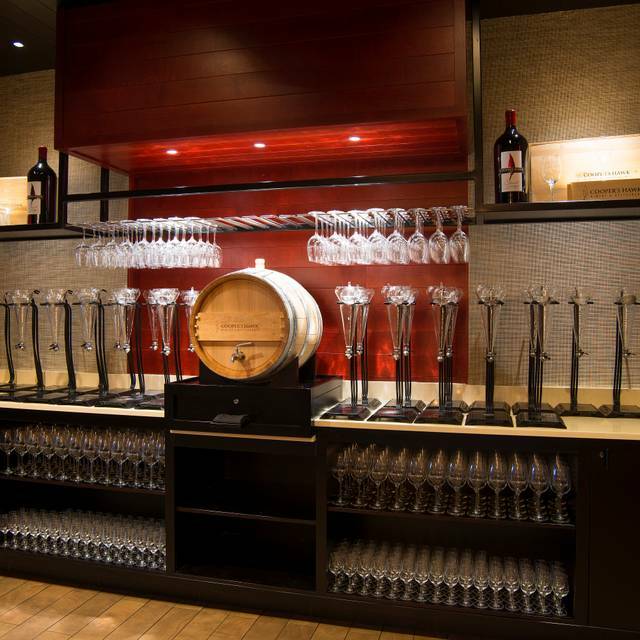 The manager indicated that 2-3 swaps was not only allowed but encouraged when you are new to their wines. He said he would straighten things out with our server. However, the server was untruthful in her explanation. As a result, the manager returned to me indicating that they did not allow people to swap 10 plus times and recreate their menu for the wine tasting. I was shocked! I had to stress the facts to the manager in this second conversation before he realized that he had been misinformed. He then got his server to abide by the restaurant's rules. After that, the server was overly friendly in a forced and restrained manner. I chose to ignore it in order to focus on having a good time. I just don't want to work this hard when I go somewhere to relax and have a good time! I will continue to frequent this establishment. I just hope this never happens again. great food and experience. Emoni was a great waitress and always make our dining in amazing! Great food and great wine. Tasting room on a Saturday can be very busy so need to plan accordingly. They whole restaurant was busy but the staff did a tremendous job with the volume. We are wine club members and enjoy trying new wines when they are available. Love coming here but always very crowded, The outside area is not always open for service which it to bad as several nice warm days have passed and not able to enjoy the area. Overall great. Food is always great. Just remember to always make reservations. I was celebrating a birthday and this was my boyfriends first time and it did not disappoint. I always get my absolute favorite dish, seafood risotto and he ordered the fillet mignon and he was delighted. The atmosphere and customer are always great and the food is simply fantastic. Compliments to all involved to make this spot a constant hit. 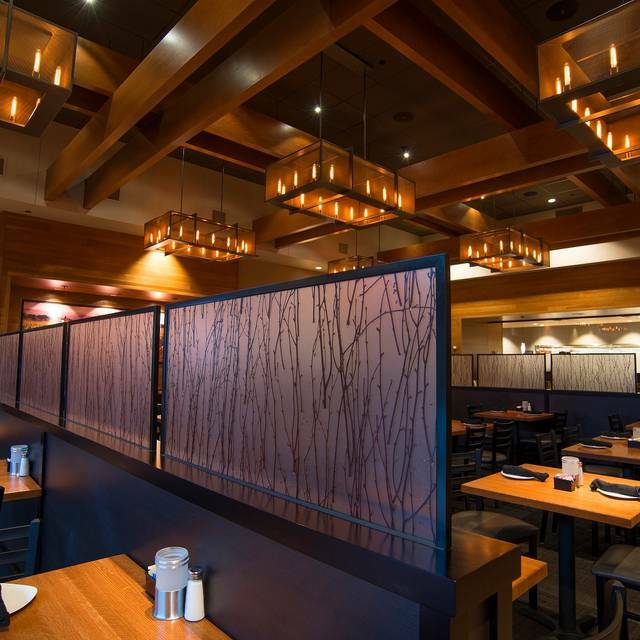 Cooper's Hawk is a great place if you are looking for good food and a nice glass of wine. It is not a place you would ever choose if you are looking for a quiet or romantic night out. You won't get either of those option. Our table really enjoyed the Crispy Brussel Sprouts as our appetizer with the Spaghetti & Meatballs, Surf & Turf, Wild Mushroom Risotto & the Maple, Mustard, Pretzel Brushed Pork Loin as our meals. Our server was new but willing to help us with the knowledge that he had of the restaurant. It was a great night, if a little pricey and extremely loud. We live out of town and this is where we love to eat when we come to Richmond... we always make a reservation and this time we asked to eat outside. When we got there, we were told that outside was “first come first serve” and that there was a thirty minute wait so we opted for a table by the window. When we were seated, there were quite a few empty tables outside so I asked again if we could have one if those tables and the girl said that they were taken and it was obvious she was very annoyed that I’d asked. Thank goodness we had a good waitress and the food was delicious as usual but two tables outside were vacant during our ENTIRE meal. I don’t appreciate this at all and as much as I enjoy this restaurant, I’m not sure I’ll go back. Always a good date night spot! Shrimp and scallop risotto is a must! My friends and I absolute loved it. The service was amazing will return soon. 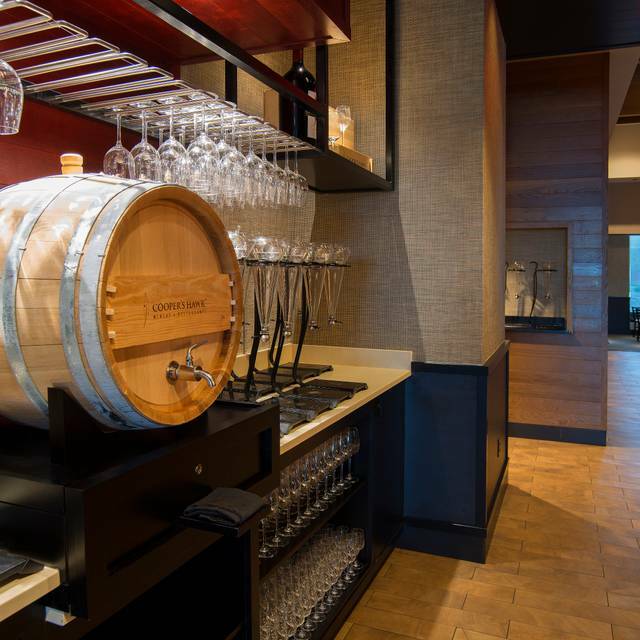 The food, wine, and service is always great at Cooper’s Hawk. We were seated next to a large party table which was very loud, so we did not enjoy all the noise, but other than that it was a great experience. Very loud. Food came out cold. Better to hit this restaurant during the week instead of weekend. There was a large LOUD party next to us. It was so loud that we had a glass of wine and an appetizer and decided to leave. I did see the manger speak to them. The manager and the waitress came over (without it is complaining) and apologized. We received a complimentary wine tasting. First class service. They were totally mindful of the guests concerns and enjoyment. 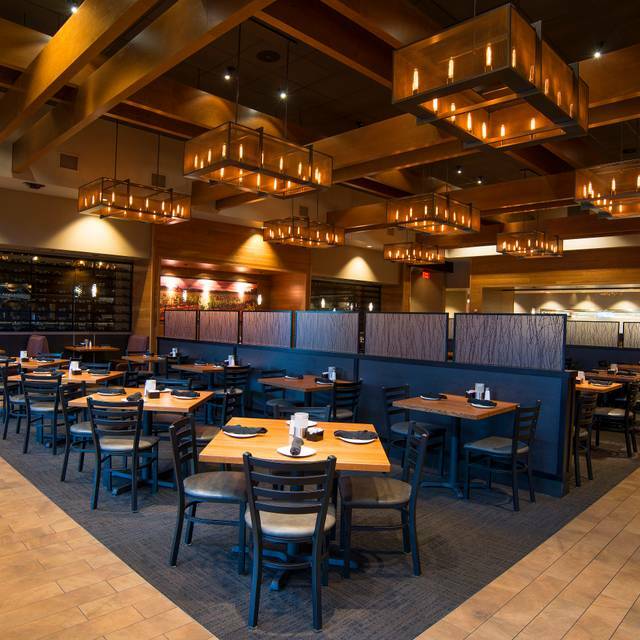 We are frequent CH customers and have always had a great experience, but this time my food was warm at best.